Dr. Debbage was honored at the UNCG Entrepreneurship Awards Luncheon held in the Virginia Dare Room of the Alumni House in early November. 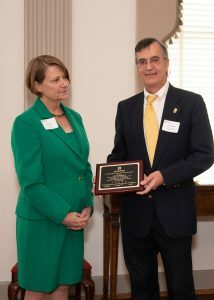 He was given a plaque by Provost Dana Dunn recognizing his outstanding service to the Entrepreneurship Cross-Disciplinary Program at UNCG. 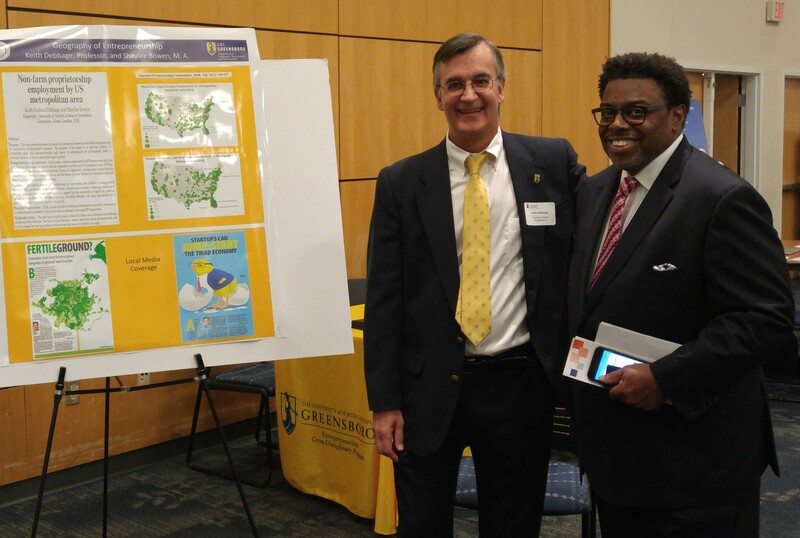 Earlier, he was able to talk with UNCG Chancellor Franklin Graham about his poster on the Geography of Entrepreneurship based on a paper published in the Journal of Enterprising Communities. The event was part of the Entrepreneurship Everywhere Symposium held in the Cone Ballroom of the UNCG Student Center.